Georges France is Vice President and Global Quality Lead for the Local Operating Company (LOC) at GSK Consumer Healthcare. he is responsible for setting up and managing Quality for all LOCs at Consumer Healthcare. 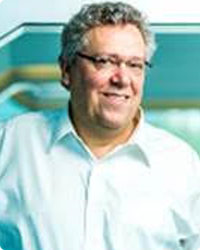 Prior to joining GSK, Georges was Global in-Country Quality Head at Novartis OTC. Georges joined Novartis in March 2012. Previously he worked at Pﬁzer as a Vice President of Global Quality Strategy and Global Aﬃliates Quality. Prior to that, he worked at Wyeth for 12 years, spending the ﬁrst six years in the French aﬃliate as the head for QA and Regulatory aﬀairs. In 2005, Georges became Vice President, Quality and Compliance in Europe, Middle East and Africa. Earlier in his career, Georges spent six years with Fisons, a company in the United Kingdom that specialised in asthma. He joined Schering Plough when Rhone Poulenc Rorer acquired Fisons. Georges holds a Doctorate in Pharmacy and a post-graduate degree in Pharmacology and completed the INSEAD Advanced Management Program. He was EPFIA topic leader in the Expert working Group for the ICH Q10 guidelines as the ICH Q8, Q9 and Q10 IWG, today he is an EFPIA Expert for ICH Q12.